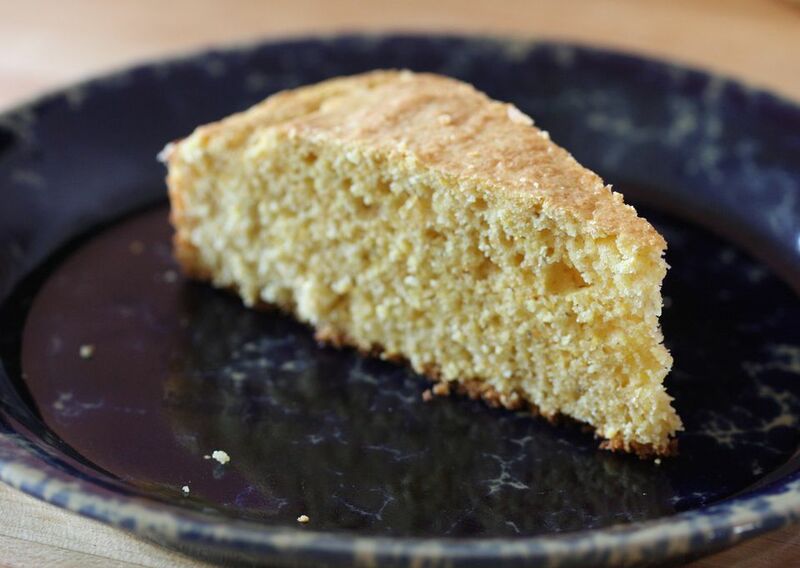 This is a simple, classic buttermilk cornbread recipe baked in a preheated cast iron skillet. There's no sugar in a Southern-style cornbread, but a small amount of sugar or a little honey can be added if you like. Melted butter makes a delicious cornbread, but melted shortening or part bacon drippings can be used as well. Or leave it out altogether. Heat the oven to 400 F (200 C/Gas 6). Put a heavy cast iron skillet in the oven to heat while you prepare the batter. In another bowl, beat the egg with the buttermilk and 2 tablespoons of melted butter, if using; blend well. Combine the dry ingredients and buttermilk mixture and mix until blended. Carefully remove the hot skillet from the oven and add 1 tablespoon of oil, butter, or bacon drippings. Quickly spread the batter in the skillet and bake in the preheated oven 15 to 20 minutes, or until lightly browned. Turn leftover cornbread into breadcrumbs. Crumble the cornbread and spread it out on a baking sheet. Bake at 300 F until dried and lightly browned. The hot cast iron pan makes a crispy crust, but the cornbread may be cooked in an 8-inch or 9-inch baking pan. Fold about 1/4 to 1/2 cup of crumbled cooked bacon into the batter. Add a few tablespoons of chopped mild chili peppers or minced jalapenos. Add about 1/2 cup of shredded cheddar or cheddar jack cheese.